Worldwide mintage a mere 750 coins – sell-out certain! Australia’s most iconic bird is superbly captured in this ultra-high-relief silver coin. With a mintage of just 750 coins, you’ll need to swoop fast to avoid missing this majestic release. The piercing eyes, the powerful beak, the distinctive plumage... Australia’s wedge-tailed eagle is unmistakable in his stunning coin. But only 750 lucky collectors will get to enjoy it. If you are one of the lucky ones, you’ll enjoy the fact that each coin is accompanied by a numbered Certificate of Authenticity. Make sure you take a moment to appreciate just how exclusive your coin really is. Up close – and in Ultra High-Relief! A superb design is critical for an attractive coin, but it’s only the beginning. This silver coin proves that an Ultra High-Relief strike can elevate a beautiful motif to a whole new level. Here, the bird’s features become a triumph of different textures. Catch a glimpse of that steely gaze, and that intimidating beak. And then the delicate plumage, each individual feather unique. There’s a lot to take in – and not a micrometre of the 38.60mm surface is wasted. Crafted from precious silver – with an antique finish! Silver’s luminous intensity is the perfect canvas for such a piercing design. And not just any silver – 99.9% pure silver. But it’s not just the choice of metal that lends character to the design. An entrancing Antique finish underscores the relief, bringing even more contrast and texture to the coin’s surface. With a wingspan of up to 2.84m, the wedge-tailed eagle is Australia’s largest bird of prey. These magnificent birds will often soar for hours at heights of 1,800m or greater, making the most of thermal currents rising from the ground below. They are easily distinguished from other species by their long, wedge-shaped tails. 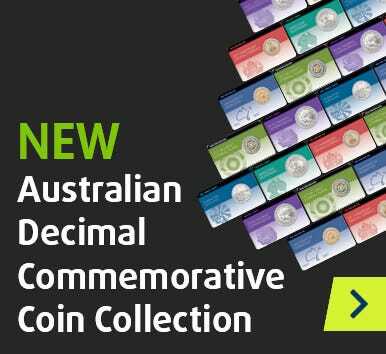 Each of these Niue legal tender coins is housed in a stylish display case – the perfect way to enjoy your new acquisition. With only 750 available, don’t miss out – hook your talons on this release now before it’s too late! Click ‘add to cart’ now.